Back in Calgary for this update! Thanks to American Express/Aeroplan/Air Canada for the great event in YYZ last night! The big news for today has already been covered in another post. The unfortunate changes to the British Airways Executive Club program will definitely be felt by many Canadians. Read all about here. Another Free Points Alert! 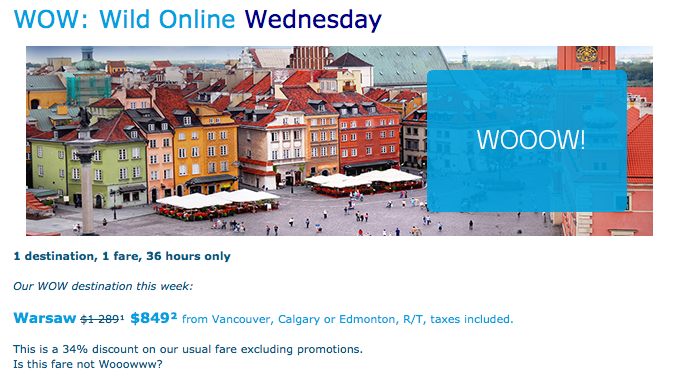 I was going through a backlog of emails and found this offer for some free AIR MILES Rewards Miles. 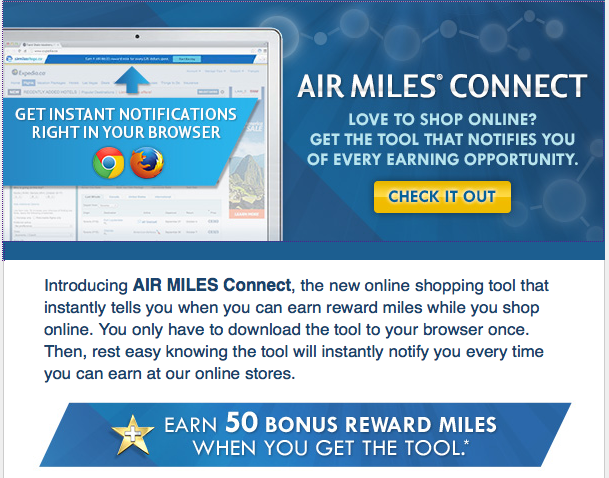 You can get 50 miles for downloading and installing the AIR MILES Connect online shopping tool (it installs into your browser). The offer ends January 31st so if you haven't done this offer yet try it out. I did a similar offer sometime ago for Virgin Atlantic's Flying Club which awarded me 250 miles for free in that program. This one of course has more relevance for most of you. Find out more here.